Our premium limousines are primed and ready to give your event a touch of extravagance! We welcome you to the online world of Bakersfield Party Bus! Bakersfield, California has a lot to see and do, and Bakersfield Limos wants to be there with you while you experience it all. 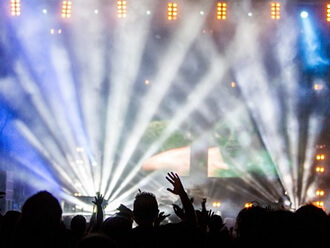 Consider checking out some country music concerts, head to the Kern County Fair, go on a winery tour, or get a limousine for a personal event. Whether it's something like a wedding, prom, or birthday... no matter what the occasion, Bakersfield Limousine is here for you! This is just one of the reasons why we are the first number to punch into your cellphone when searching for an affordable yet stylish option to get from one point to another. We offer competitive pricing at reasonable rates that everyone can afford. Our customer service representatives work with you to find a vehicle and date that fits into your budget and still works well for your event. We are confident that you will be pleased with every aspect of our company. Please browse our site to learn more about what we have to offer, and then give us a call to reserve a limousine today! If you're outside of Bakersfield and need limo service in California check out San Diego Limo, Los Angeles Limo, or Oakland Limo. We work with these companies and they come highly recommended. Out of all of the choices for transport, why choose us? There's no doubt, it's nice to have a variety of choices when you're spending your hard earned money! In a case like this, it can be a bit confusing trying to figure out who to trust. However, you'll be glad to know that we have a reputation for providing consistently successful transportation at a value you wont be able to pass up. Our reputation clearly speaks for itself, as we are often the name that rolls off of the locals tongues when they are referring a trustworthy transportation source. So, whether when you're looking for limousine elegance, you know where to turn to. Learn more about the specific benefits to enlisting our services below, and be sure to consider reaching out to us whenever you have any specific curiousities about planning your celebration! Think about it, often times when you are out and about enjoying nightlife or the company of your closest friends, there are some things that set you back from having the most convenient experience possible. For example, you'll have to get directions together along with your itinerary, deal with the traffic and construction along the way to the destination itself, and then consider finding a designated driver at the end of the festivities. You might even have to consider the weather if it happens to be a community event like the Country and Craft Beer Festival, ARTini, or the Fall Family Fun Fest at Murray Family Farms. When you use Bakersfield Limos, there are no worries about any of these problems! We take care of all of the little details so that you can truly sit back and relax, just as you deserve to. Everybody loves options, and that's because they are the spice to life! With us, you'll be able to choose from many different passenger capacities as it relates to our vehicle selection, so there is surely something that fits perfectly in line with your group size and nature of the celebration. This is only part of the reason why we're the top company to put your trust in when trying to get one spot to another, especially when you find yourself on a tight budget. Whether you need a polished exterior for a wedding at Noriega House or the Patino, or perhaps something spacious for a pub crawl at the Old Fashioned Social Drinkery...there's something for you to enjoy here, and we're more than happy to help you find it the next time you have an extra minute to talk about it. The features in our vehicles are the prime reason why we're the service to choose! 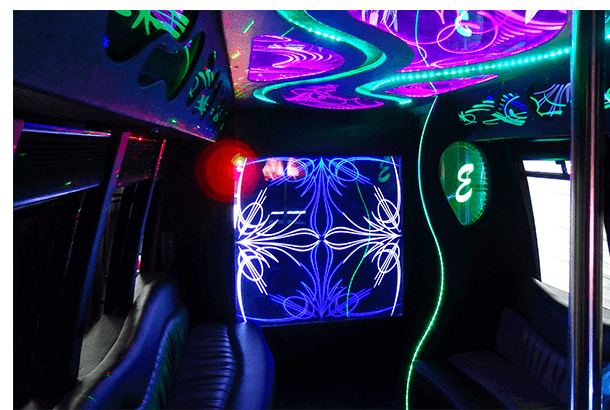 Step on board one of our buses and enjoy chrome dancing poles as well as television screens with DVD capabilities, and all of the features that can be found inside of our limousines. Look forward to things like high quality hardwood flooring, ambient lighting throughout that makes for the perfect atmosphere, comfortable seating with leather surfaces, counter tops and cup holders for giving your beverages a safe place while you're socializing, audio systems complete with subwoofers, as well as dark tinted windows for your complete privacy. There's a little something for everybody to enjoy when they're on board our bus, whether they happen to be a wallflower or the life of the party! This part of the country is one that always has something entertaining and exciting going on! This is part of the reason why Bakersfield Limos loves providing service to the area, as we're able to see all sorts of different events and cities. If you're looking to plan a trip that includes destinations outside of the city limits, you can feel confident reserving your time slot with us. This is because we're constantly looking to expand the area in which we provide service. This way, we're better able to serve potential customers and widen our client base! Not to mention, there's just so much to do and see...it only makes sense to be able to service it all to give you a truly unforgettable experience. So, whether it's a sightseeing tour or an important corporate get together outside of the city, give us a call and we'll let you know if we're able to come out to you. There are two things that are the most important to us regarding your experience, and we will always go above and beyond to ascertain their existence through your trip! One of the main reasons why some decide to use our company is to avoid having to find a designated driver after a night of drinking. This is one reason why we're a safe option when hanging out with your buds, but also that we tirelessly maintain our vehicles to ensure that they are in prime working condition. So, when you happen to be booking transportation service for a group of teenagers at homecoming or prom, you can feel good knowing that we have all bases covered. Not to mention, we work hard to pass down our savings to you with each and every trip. This leaves you with a rate that is much lower than the competition without worrying about sacrificing quality of service. in the Bakersfield, California area! © 2018 Bakersfield Limos • www.bakersfieldlimos.com • All Rights Reserved.